Directors turning into villains or comedians is kind of common in Kollywood. Bharathiraja’s performance as the menacing politician in Aayutha Ezuthu is still one of the most popular casting. Rumors claimed director Ameer may play the villain against Dhanush in Vada Chennai by Vettrimaran. Sasikumar who’s the hero in Kodiveeran had managed to rope in director Vikram Sukumaran as the villain. 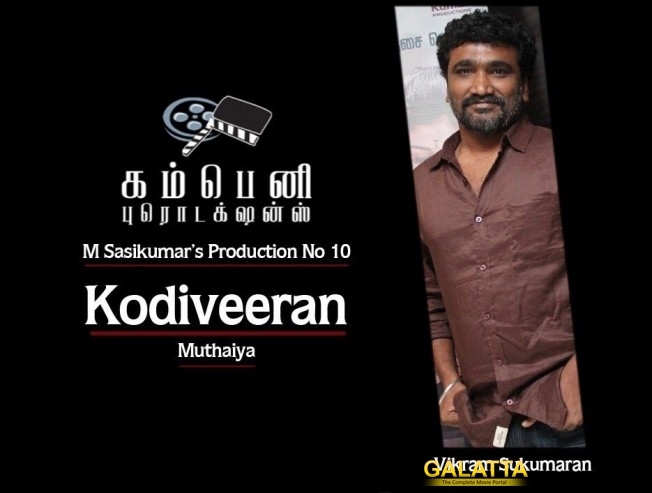 Vikram Sukumaran had already directed Madha Yaanai Kootam and now turns an anti-hero in Kodiveeran directed by Muthaiya.